Our PrinterBag® was specially designed with Event Photographers and Photo Booth companies in mind! Handbag version (this model has no wheels). Fits most Hiti Photo Printers such as Hiti P525L, P520L, P510S, P510si, P510K, P510L, Hiti P510 series. Single internal compartment with a removable padded divider (with velcro) to better accommodate your printer and accessories. EXTRA STORAGE SPACES: External webbed pockets on the sides, a zippered pocket on the front and a large internal webbed pocket on the lid make it perfect to hold cables, jump drives, memory cards, tablets, batteries and more! 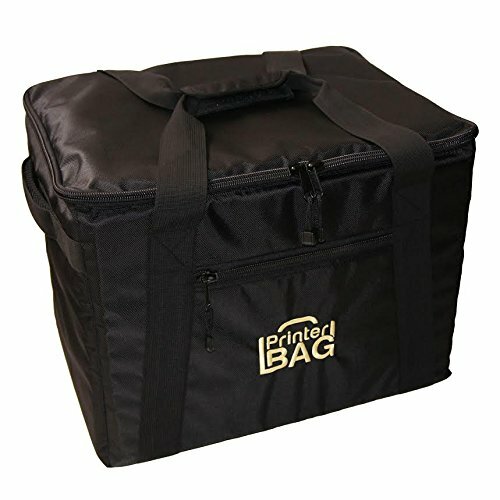 If you have any questions about this product by PrinterBag®, contact us by completing and submitting the form below. If you are looking for a specif part number, please include it with your message. 4" x 6" SELF-ADHESIVE MAGNETS (Pack of 100). Just peel back the protective paper and place your photo, it's that easy!